From our extensive collection of Venetian mirrored furniture comes the brand new and ever so beautiful Louvre mirrored range. Crafted from clear cut glass and natural wood, this beautiful bedside table featuring 2 drawers and chrome ball handles and sure to brighten up any bedroom in your wonderful home today. 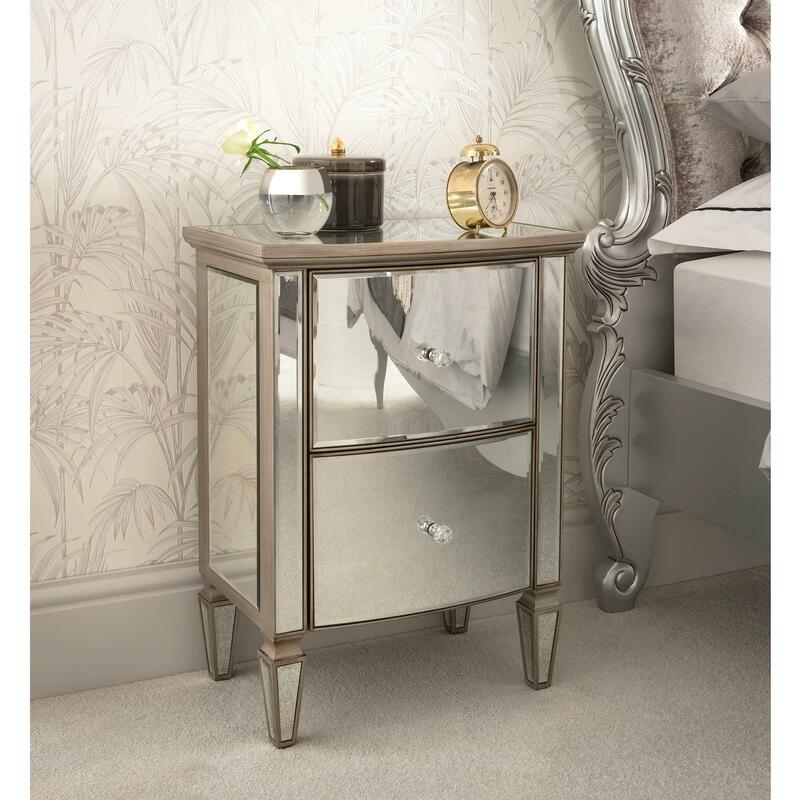 Perfect to give the appearance of a brighter room, this mirrored bedside table or nightstand will impress in a variety of settings.